The EU Advisory Group supports the Republic of Armenia in the implementation of its reform agenda and the development of its international commitments. The Group provides tailored policy advice on legal, security, democratic, economic and institutional issues to the Armenian Presidency and other institutions. Strengthening respect for human rights and fundamental freedoms in Armenia, in compliance with international commitments undertaken by Armenia, has been identified as a priority in the cooperation between Armenia and the European Union. Armenia became the first country to which the European Commission deployed a team of high-level advisors to support reform efforts and ENP Action Plan implementation. Together with national experts they provide a balanced mix of policy, legal and institutional advice based on the EU’s and member states’ know-how and best practices. The EU Advisory Group is currently employing a Policy Advisor on Human Rights. 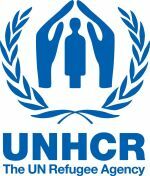 The United Nations High Commissioner for Refugees (UNHCR) is currently seeking an intern to start immediately in May. The proposed internship lasts for a period of six months and is unpaid. The intern will participate in the various activities of the Legal Unit of the Regional Representation for Western Europe and will be responsible for drafting an overview of asylum and statelessness considerations in Belgium and Luxembourg. A Masters degree in law is essential. Previous relevant experience in refugee matters or human rights preferred. Your CV and covering letter should be sent by 13 May 2013 to belbr@unhcr.org, mentioning in the subject 'Legal Unit Internship May 2013'. The Irish Centre for Human Rights at the National University of Ireland Galway is one of the world's premier university-based institutions for the study of human rights and humanitarian law. 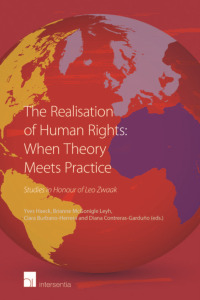 Since its establishment, the Centre has developed a global reputation for excellence in the field of human rights teaching, research and advocacy, which has enabled the institution to attract high quality students to its acclaimed LLM programmes and to build a thriving community of doctoral researchers. The Centre has a proven record in successfully implementing projects dealing with international human rights law and humanitarian law. It regularly hosts prestigious international conferences and symposoia and has an outstanding research and publication record. This seminar will provide practical training to legal practitioners on the EU Charter of Fundamental Rights. It is part of a project co-financed by the European Commission consisting of eight decentralised seminars spread across the EU. This seminar will focus on the Charter's application to criminal law. Legal professionals interested in application of the Charter in practical terms, in particular lawyers in private practice wishing to apply the Charter provisions to a case before a court. The registration fee is €280. In order to register, you first need to create an ERA-account. The Master of Arts in Human Rights and Conflict Management at the Scuola Superiore Sant'Anna is designed to provide students from different cultures and backgrounds with a deep understanding of the linkages between human rights and conflict management theory and practice. The curriculum, which is strongly field-oriented, prepares participants for working with NGOs, governments, aid agencies, the UN system and regional organisations as well as operating in the context of complex emergencies and joint operations. The International Rescue Committee (IRC) is a leading global humanitarian and post-conflict development organisation, working with people and communities affected by conflicts and natural disasters in more than 40 countries around the world. International Rescue Committee Belgium asbl-vzw represents the IRC’s global network in Belgium. Established in 2001, IRC Belgium carries out policy and advocacy work, provides technical support to IRC programmes in the field, and raises funds to support those affected by conflict and disaster. The IRC is looking for an Advocacy and Policy Intern for the Brussels office. Privacy International (PI) is one of the world’s leading privacy organisations. It was founded in 1990 and has active associates in over 20 countries. Its mission is to defend the right to privacy across the world, and to fight unlawful surveillance and other intrusions into private life by governments and corporations. The vision of Privacy International is a world in which privacy is protected by governments, respected by corporations and cherished by individuals. We believe that technological developments should strengthen, rather than undermine, the right to a private life, and that everyone’s personal information and communications must be carefully safeguarded, regardless of nationality, religion, personal or economic status. Privacy International is currently recruiting a Research Officer. The Office for Democratic Institutions and Human Rights (ODIHR) is the principal institution of the OSCE responsible for the human dimension. ODIHR is active throughout the OSCE area in the fields of election observation, democratic development, human rights, tolerance and non-discrimination and the rule of law. In accordance with the mandate of ODIHR, the Human Rights Department (HRD) is assisting participating States in fulfilling their obligations to protect and promote human rights and fundamental freedoms. Areas of work covered by the Department include monitoring and analysis of human rights developments in the OSCE area and the provision of expertise and technical assistance to enhance compliance with human dimension commitments; supporting the development of effective human rights education and capacity building; enhancing the protection of human rights while countering terrorism; addressing the relationship between human rights, gender and the security sector; and emphasizing human rights aspects of combating trafficking in human beings. Girls Not Brides is a new global partnership, initiated by The Elders, that brings together non-governmental organisations from around the world committed to ending child marriage. Girls Not Brides works to empower those seeking to end child marriage, to raise awareness of its harmful impact and potential solutions, and to call for urgent global action. Since Girls Not Brides launched in September 2011, more than 250 organisations from over 45 countries have joined as members. Girls Not Brides is seeking a talented and enthusiastic Policy Intern to boost the impact of its global drive for a world without child marriage. INTERIGHTS is an international legal human rights NGO based in London. 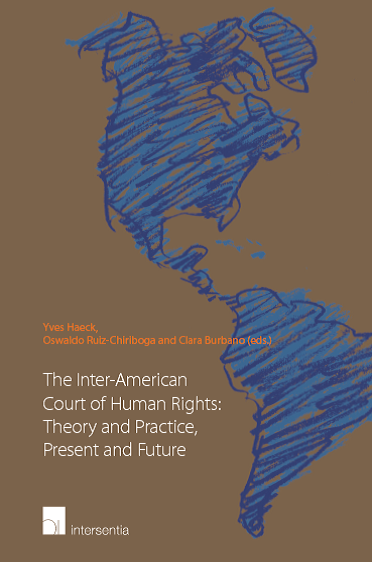 It provides leadership and support in the legal protection of human rights. INTERIGHTS works to ensure that human rights standards are protected and promoted effectively in domestic courts and before regional and international bodies, contributing to the development of a cumulative and progressive interpretation of international human rights law. INTERIGHTS invites applications for an internship for a Lesbian, Gay, Bisexual, Transgender and Intersex (LGBTI) Rights Lawyer in Africa and a Legal Director in London. The Academy of European Law (ERA) is a non-profit public foundation that provides training in European law to legal practitioners. Its patrons include most EU member states and it is supported by the EU. ERA organises conferences and seminars around Europe, has an e-learning platform and publishes a legal journal ERA Forum. 'Improving Conditions related to detention' is the first of three major seminars organised by ERA and sponsored by the European Commission. For further information, please contact the Centre Research Manager: Peter Aggar. International migration has become an all-important issue for the world as a whole, and for the European Union and its neighbourhood in particular. People crossing international borders bring with them a baggage of different cultural, social and political experiences, which then they negotiate with the host society. This dynamic, two-way process of integration has, however, impacts on societies of origin as well. This year we ask a crucial question: How is integration negotiated between the sending and receiving countries? Participants of the IX Migration Summer School on “Theories, Methods and Policies” will explore the answers to this question. Through this lens they will analyse the interactions of the regions of origin and the regions of destination; migration policies and the regulation of migration; and processes of social cohesion. Teaching will be accompanied by research work and practical debates. Participants will be encouraged to translate perceived societal problems into social scientific research questions, and to contribute to the solution of these problems by combining insights from demographic, economic, legal and sociological approaches. The Summer School will coincide with the annual Migration Policy Centre Conference. Therefore the participants will attend the debates and discussions held at this occasion, as well as a roundtable especially organised for them with EU Commissionner for Home Affairs, Cecilia Malmström. The course aims at providing a profound insight into, and analysis of, the system of international (universal and regional) human rights protection in the light of contemporary problems and relevant case law. The course is composed of lectures, case studies in working-groups, seminars and an optional, academic essay. The Faculty of Law, Economics and Governance (REBO) is one of the largest faculties within the University of Utrecht and contains one of the oldest departments: the Utrecht School of Law. The School of law is housed in a number of monumental buildings in the center of Utrecht. With approximately 4000 students and 500 staff members, the School of Law stands in the midst of society, thanks to a wide range of departments, renowned research and a well-equipped law library. The School of Law is currently looking for an Assistant Professor of Human Rights and International Public Law.